Last week, when I was at PenFed website for the PenFed Platinum Cashback Rewards Card piece, I noticed that they also offer a card with a low introductory APR for a very long period of time. 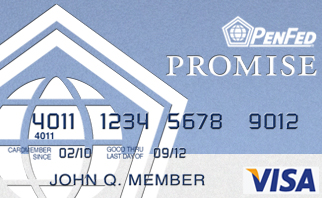 It’s the PenFed Promise Visa Card, which currently has an 7.49% APR on purchases for 36 months. Offering a low intro APRis quite common these days among credit card issuers as a way to attract new customers, but the introductory period is usually 12 or 18 months. So compared with other cards, the 36-month period from PenFed seems extreme long, even though the rate isn’t as low as other cards, which sometimes go as low as 0% APR. As you can imagine, with such a long low APR period, cardholders must give up something in order to take advantage of the offer. In this case, it’s the rewards from using the Promise Card. Basically, you won’t get any of those nice perks as you will get when using, say, the Cashback Rewards Card. In fact, it doesn’t seem that the card is offering any rewards for members. This reminds me some other cards I have seen before (like the IberiaBank Visa Classic Card). 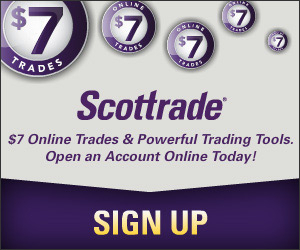 They all offer very low rates with no other rewards, making them a good choice for those who carry a balance. 7.49% introductory purchase APR for first 36 months! After that, the APR will vary with the Prime Rate, and is currently 9.99% APR. By the way, according to PenFed website, Promise Visa Cardholders must subscribe to e-statement service for ALL active credit card accounts held with PenFed. Of course, to get a PenFed credit card, or any PenFed products, such as loan or bank account, you must become a member of Pentagon Federal Credit Union. For people in the military or have family member in the military, the requirement won’t be a problem. But for others, it could be an issue. Fortunately, there are ways to get around it. One way to become eligible for the PenFed membership is to join the National Military Family Association with a one-time donation of $20. That shouldn’t become a burden if you are seriously considering getting a PenFed card.